as well as an exciting new tasting menu. Sensi’s standalone house in a leafy, upper-crust enclave of Naradhiwas Road has been dishing out refined, elegant Italian fine dining for some four years. With new head chef Stefano Merlo onboard, the restaurant is now offering two new dining concepts geared towards bespoke and accessible fine dining. The idea in a nutshell: make fine dining more accessible by dropping the price to mere mortal levels. Sensi brass and chef Stefano Merlo are tackling this through a single-table offering every Mon-Thu called A Tavola that dishes out a 3-4 course rotating menu for up to four guests at B4,000 for the table—so just B1,000 per person (other set menus go as high as B3,490). The high-end ingredients and beautiful food is all there, but the menu isn’t set in stone. 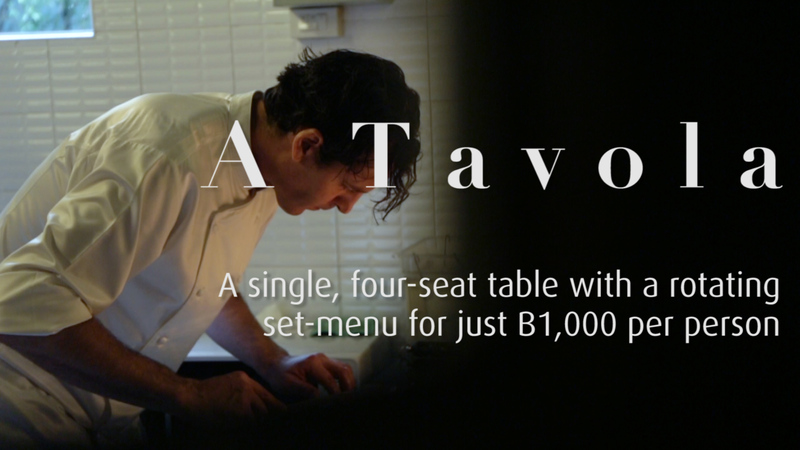 Since there is only one table per night, Chef Merlo approaches the A Tavola table similarly to the restaurant’s new Carta Bianca (a bespoke concept detailed below). Diners chat with the chef about their preferences, and he whips up an off-the-cuff menu from the day’s ingredients. Please note that, however many diners, the price stays fixed at B4,000 for the entire table. Not exactly an omakase redux, but close enough. 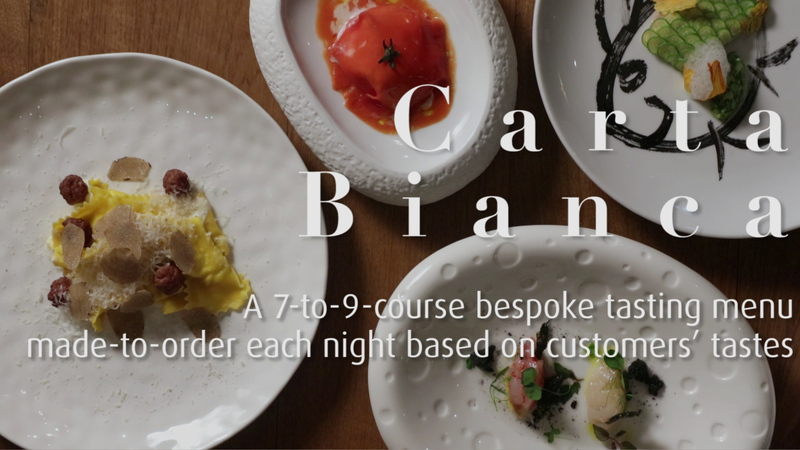 Sensi’s Carta Bianca (as in, to let someone do whatever they feel like) menu focuses on freewheeling creations in the kitchen, but this time on a much larger scale at seven-to-nine courses depending on how much your wallet can tolerate (B2,690/7 courses, B3,490/9 courses). The procedure is the same: chat with the chef and he whips up a menu to fit. It’s a table-wide affair, however. Everyone eats the same menu—for the sake of the chef’s sanity—but the experience still fits the “chef’s selection” criteria down to a tee. 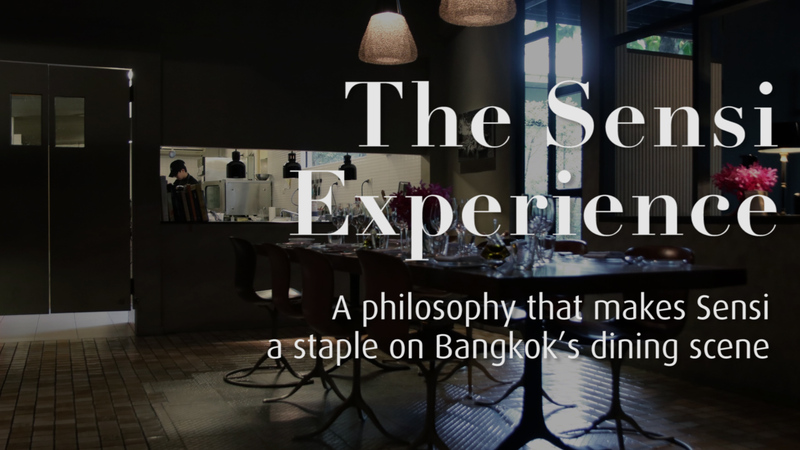 Restaurants doing high-quality, innovative fine dining in a refined environment are extremely rare in Bangkok. You’ve got some swanky places doing traditional food; and you’ve got a few young chefs getting creative while the front of house disappoints in terms of service and décor. But you don’t have many places like Sensi, where everything is on the same very high level as the dishes coming out of the kitchen. BK gave the restaurant four stars when we reviewed the restaurant a while back, but on a recent visit and chat with chef Merlo it seems those same standards are alive and well if not more refined.